The City Council’s Committee on Land Use gave approval to Rockefeller University’s plan to construct two new buildings over the Franklin D. Roosevelt Drive on Manhattan’s east side. In exchange, the school, which controls air rights over the 4-block stretch starting at East 64th, has agreed to invest $8 million to develop and maintain a portion of the East River Esplanade. In a section of the city where undeveloped real estate is basically non-existent, building a platform above the highway to garner more space is not a new concept, evidenced by overhangs constructed by both the United Nations and Weill Cornell Medical Center. The university says it needs the additional space to continue its long tradition of research and teaching excellence. 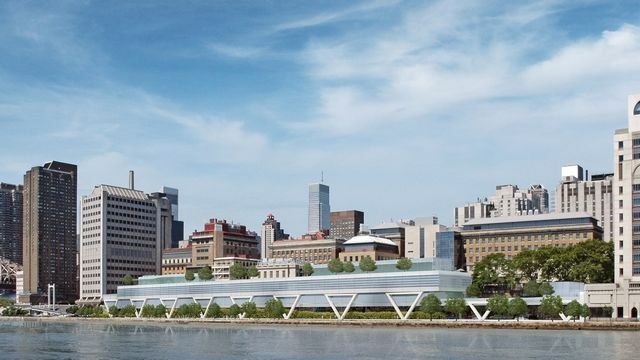 Though some worry continued development in this vein will lead to a degradation of the historic waterfront, architect Rafael Viñoly’s beautiful design seems to elegantly embrace its surroundings. And Rockefeller’s pledge to improve and maintain the open space in the community hopefully points to a win-win for all involved.